Having begun his practice, Aesthetic Surgical Associates (ASA), in 1996, Dr. Metzinger has worked in the field long enough to see significant changes and improvements in his chosen career. “I’ve seen smaller incisions, more balance, less radical procedures, more natural results,” he said. Other industry improvements include patient education and building a culture of patient safety. Dr. Metzinger said, “I think these are all things that are much better today than they were 30 years ago.” Less invasive, nonsurgical procedures have become more common as well, such as Botox and fillers. Dr. Metzinger also acknowledges the effect that social media and reality shows have had on the industry, including one particular reality TV family, the Kardashians. “People now come in and routinely ask me about biotin for their hair, which they never would have years ago. I credit the Kardashians for that,” he said. “There are 10 main things we do in terms of surgery,” Dr. Metzinger said. Procedures include: breast augmentation, lift and reduction, liposuction and tummy tuck (body contouring), rhinoplasty, face lifts , eyelids, forehead lifts and fat grafting. 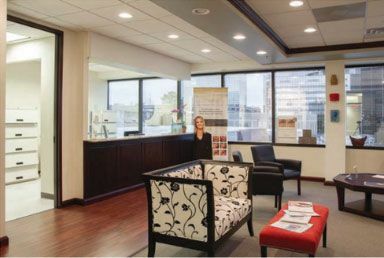 The clinic also offers non-invasive services such as Botox, fillers and skin care. “It’s a fairly focused practice,” he said. Aesthetic Surgical Associates sees a wide variety of patients. “We literally do aesthetic surgery (on patients) from their teenage years into their 90s.” It all depends on the health of the patient and the safety of the procedure. Younger people are typically more interested in breast augmentation and liposuction, whereas older people seek out face lifts. “And then you have a group in the middle that’s everything from mommy makeover to first Botox treatment,” he said. The clinic also offers gynecomastia (over-development of the male breast) surgery for males. Downtime greatly varies depending on the procedure and the individual. “No one can predict the vagaries of wound healing,” he said. Patients typically recover in one or two weeks. “By six weeks, most people are doing everything they want to do,” he said. Dr. Metzinger is triple board-certified in Plastic Surgery, Otolaryngology/Head & Neck Surgery and Facial Plastic & Reconstructive Surgery. He is also a member of the American Society of Plastic Surgeons (ASPS), American Association of Plastic Surgery (AAPS), American Society for Aesthetic Plastic Surgery (ASAPS), American Society of Maxillofacial Surgeons (ASMS) and the Rhinoplasty Society. In addition to his certifications, Dr. Metzinger received both his undergraduate and master’s degrees from Tulane University then completed four years of study at the Louisiana State University School of Medicine, where he received multiple honors. He served a two-year residency in general surgery at the Carraway Methodist Medical Center in Birmingham, Alabama. Afterwards , he pursued training in Otolaryngology/Head & Neck Surgery at the LSU Health Sciences Center in New Orleans, secured highly specialized fellowship training in Facial Aesthetic Surgery at McCollough Aesthetic Medical Center in Birmingham, AL. He then went on to receive additional training in aesthetic and reconstructive surgery at Johns Hopkins Hospital’s Plastic & Reconstructive Surgery Department, where he received the John Staige Davis Resident Research award. Later he completed subspecialty training at the University of Maryland R. Adams Cowley Shock Trauma Center in Craniomaxillofacial Surgery and Microvascular Surgery. In addition to surgical procedures, ASA’s Aesthetic Director, Chantel Babin, offers a variety of skin care services at Spa Dolce Bellissimo, located inside the ASA clinic. Services include everything from customized facials, skin rejuvenation and microdermabrasion to laser skin resurfacing and medical grade chemical peels. Although he’s not a dermatologist, Dr. Metzinger believes everyone can benefit from following a skin care regime. “I encourage my patients not to leave the house without sunblock on,” he said. “Being in the climate that we’re in, where it’s 40 degrees in the morning then 70 in the afternoon, we have all these reflective surfaces, and we’re surrounded by water, it’s a really good idea (to wear sunblock).” He recommends anything from sun protective clothing to sunblock to a good moisturizer. Giving back to the community is also very important to Dr. Metzinger. He participates in the Wounded Warrior Project (WWP), a program that offers free programs and services to injured service members to fill in the gaps of government care. 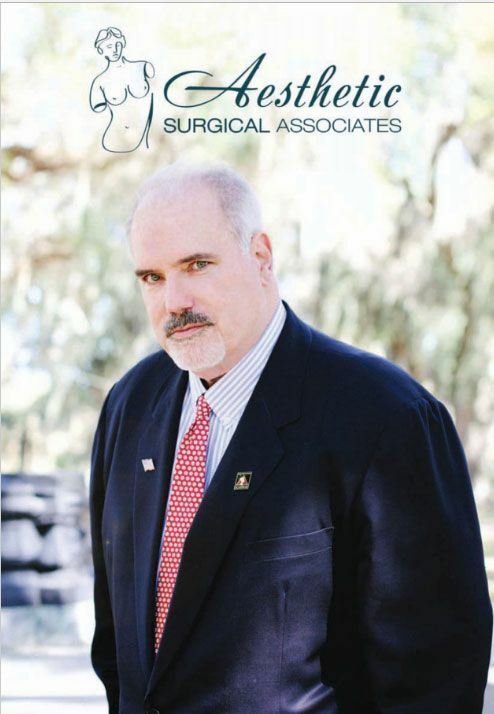 Dr. Metzinger has hospital privileges at East Jefferson General Hospital, Tulane- Lakeside Hospital and Children’s Hospital; has published over 50 articles in peer-reviewed journals and serves as a Clinical Associate Professor at Tulane’s Health Sciences Center in the Department of Surgery, Division of Plastic & Reconstructive Surgery. Dr. Metzinger is also proud to be coordinating the Foundation for Facial Aesthetic Surgery conference on March 23-26, 2017. The plastic surgery meeting, which draws 500 surgeons nationwide, has not been held in New Orleans since before Hurricane Katrina. “I think it’s great to bring something to the area,” he said. In his spare time, the husband and father of three claims he is “a regular guy.” He enjoys watching his kid’s basketball games, sailing, golf, reading and watching movies. “I like to tell my patients ‘I’m a simple country doctor, I just happen to be in a great profession.’ I just love to do it. I’m out here in Metairie in the country and I love it,” he joked. Dr. Metzinger has a great team assisting him at Aesthetic Surgical Associates. 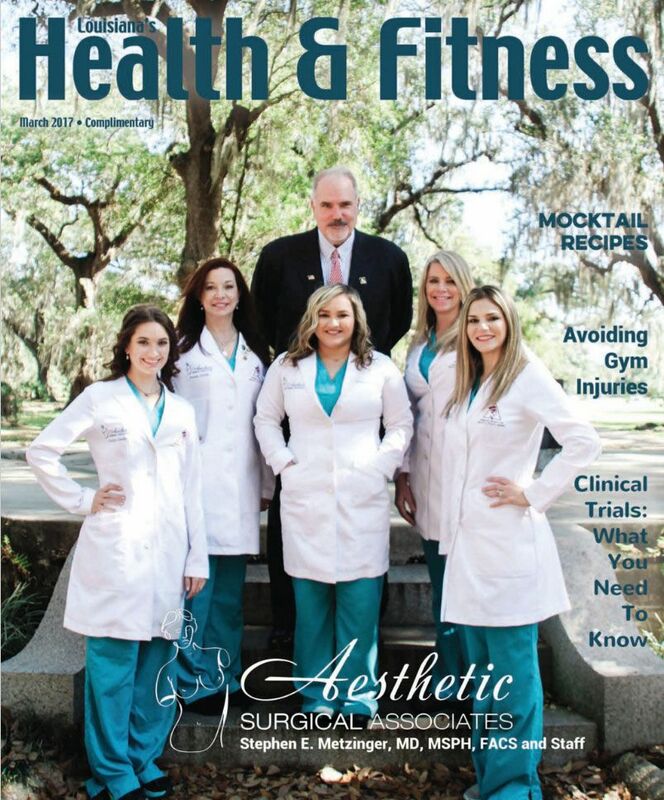 “I’m surrounded by competent individuals—- my aesthetician, Chantel Babin, my practice administrator, Liana Drouilhet, my scrub nurse, Rhonda Abadie, my receptionists, Kimberly Perdomo and Carolyn Abadie— everybody is a consummate professional and everybody does their job very, very well,” he boasted.